Churcher, C.s.. "Lynx". The Canadian Encyclopedia, 18 May 2018, Historica Canada. 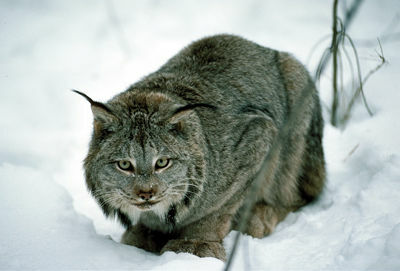 https://www.thecanadianencyclopedia.ca/en/article/lynx. Accessed 24 April 2019. The lynx is a medium-sized, carnivorous mammal of family Felidae. Canada lynx (Lynx canadensis) is distinguished from the North American bobcat by its tufted ears, large feet, long legs and lack of a white patch below the tail tip. 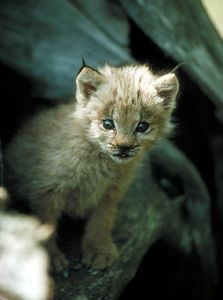 Lynx kittens are born in a den under a windfall or natural shelter. They become independent in autumn of their second year (Corel Professional Photos). The lynx is distinguished from the North American bobcat by its tufted ears, large feet, long legs and lack of a white patch below the tail tip (Corel Professional Photos). The lynx is a medium-sized, carnivorous mammal of family Felidae. Canada lynx (Lynx canadensis) is distinguished from the North American bobcat by its tufted ears, large feet, long legs and lack of a white patch below the tail tip. The buff grey, indistinctly spotted fur is long behind the jaws, on the sides of the body and back of the hind legs. Males are larger than females and size ranges widely (5-13 kg). 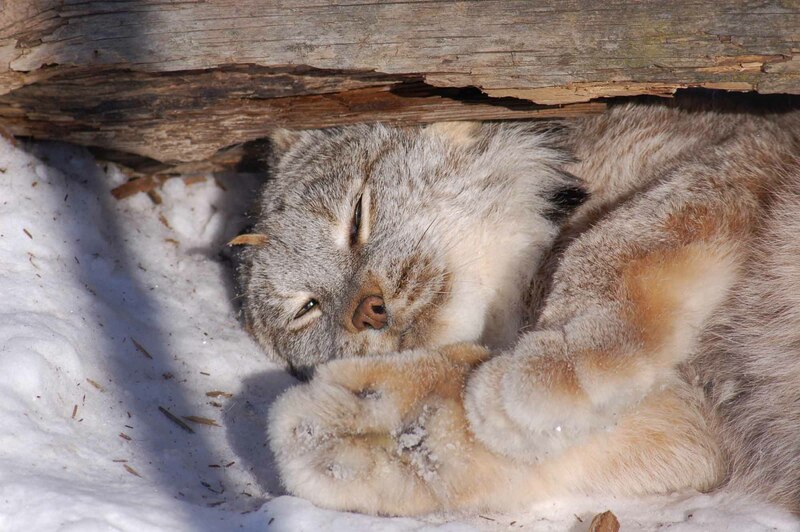 Lynx inhabit northern mainland North America and Newfoundland, and occur accidentally on Baffin Island. 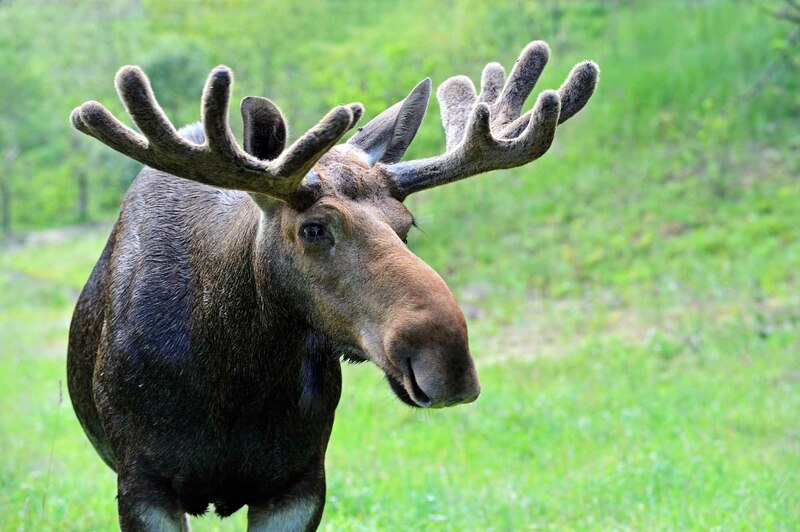 Once found throughout Canada, they have now been eliminated from settled areas in the south. Lynx fur is prized by furriers, and overtrapping coupled with elimination from settled areas has seriously reduced the population. Eurasian lynx (L. lynx) occupies forested parts of northern and central Europe and northern Asia. 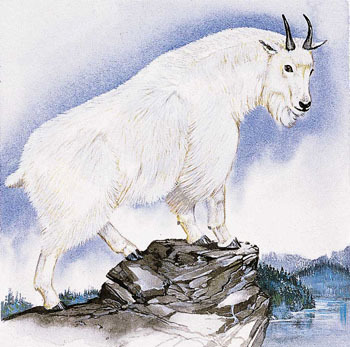 Their chief food is snowshoe hares, although red squirrels, caribou calves and other small mammals and birds are taken. The lynx population cycle follows hare abundance on about a 10-year base. Females bear 1-5 (usually 3) kittens about 63 days after breeding in March and April. Kittens are born in a den under a windfall or some natural shelter, and are brownish with blotched upper parts. They become independent in autumn of their second year, when fully grown. Individuals become mature at one year. 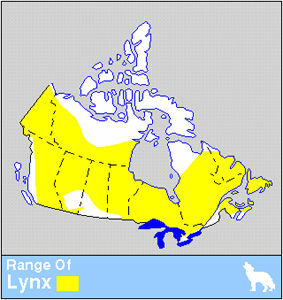 Canada LynxSee a description of the natural history and typical habitat of the Canada Lynx. From the "Hinterland Who's Who" website. 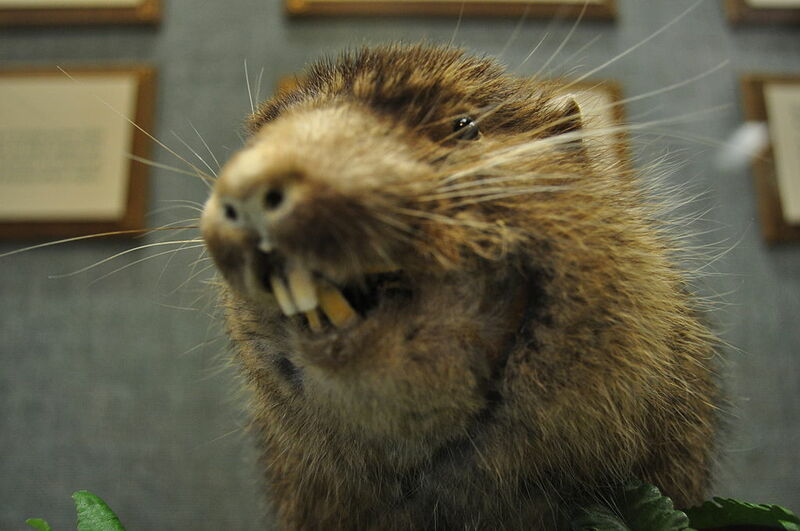 Also includes video clips, summaries of related conservation issues, and educational resources.